S'well insulated water bottles are sophisticated enough for the boardroom and tough enough for a mountain hike. Keeps contents cold for more than 24 hours and hot for 12 hours. Brushed stainless steel with a smooth finish. 500ml capacity. I've had my S'well for about a year now, and it's travelled all across Europe with me. I've (accidentally) lost it down flights of stairs, the kids have thrown it out of the pram onto concrete and we've lost it amongst luggage. But this drink bottle has out lasted it all, and really does keep water cool for hours. 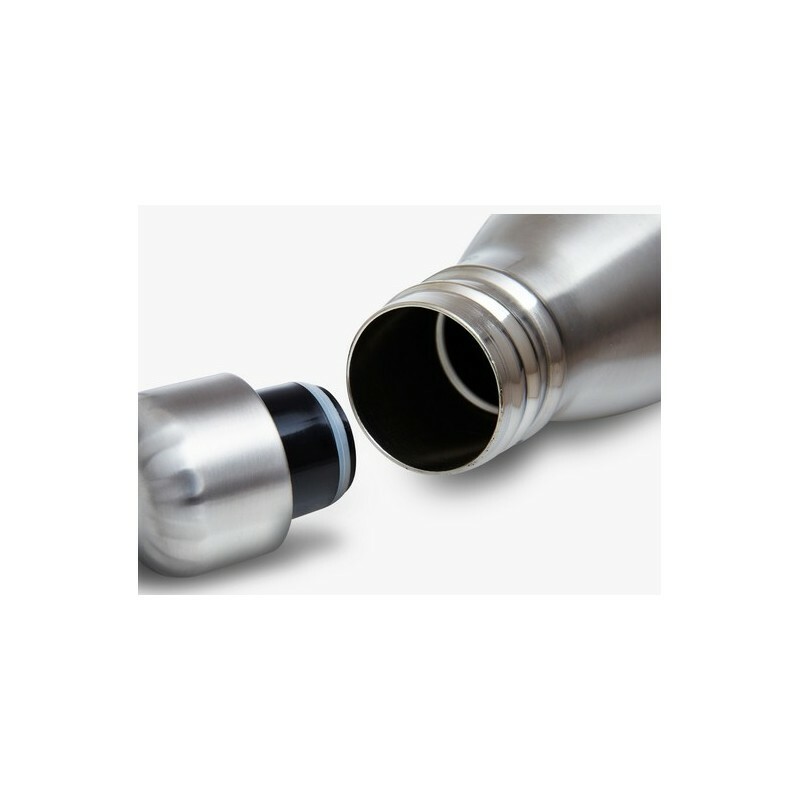 It is one of the more expensive drink bottles out there, but is 100% worth it! This bottle does a really, really, really good job at keeping your drinks hot or cold ALL day. Best insulated container I've ever used - even compared to Thermos and other brands. I love it!!! I like S'well bottles! My family have several in both the 260ml and 500ml size. 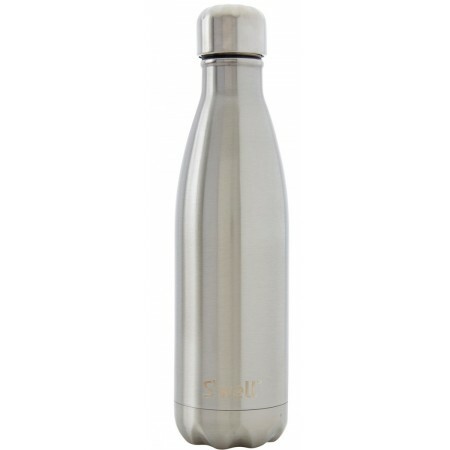 These plain silver ones are very sleek looking and are smarter and more swish in a formal office environment compared to other water bottles. They keep drinks cold all day long and are very easy to clean.